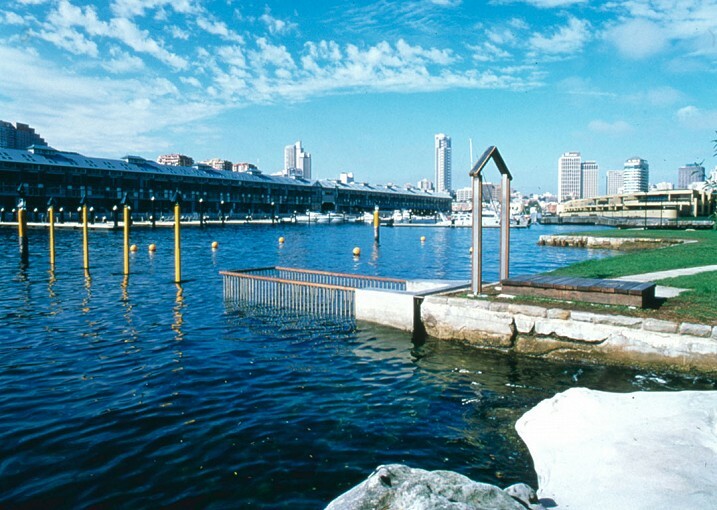 Between 1833 and 1955 this area of the bay was the site of four separate ladies’ bathing establishments—mrs biggs’ ladies’ baths, robertson’s ladies’ floating baths, the corporation ladies’ baths and finally the domain baths for ladies. 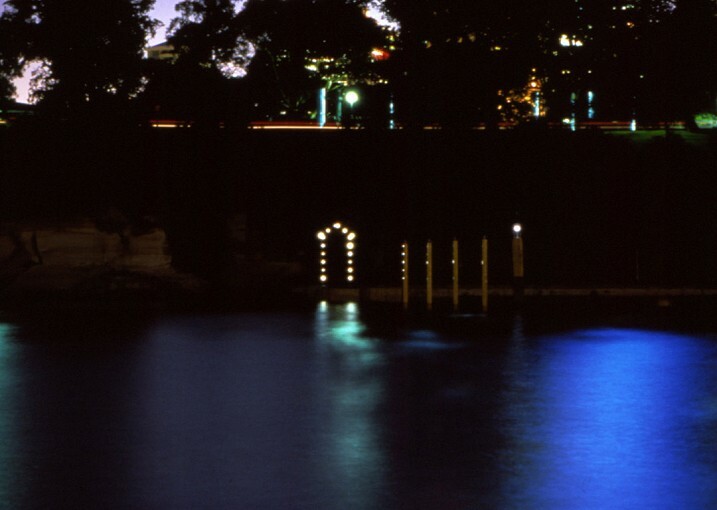 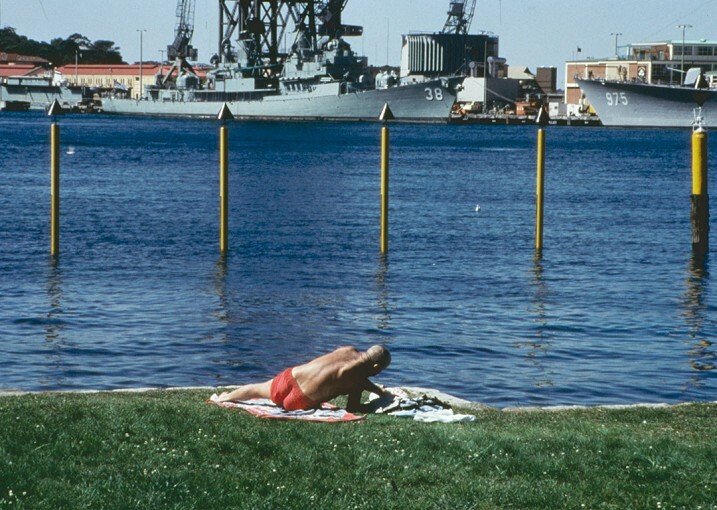 The Woolloomooloo Bay shoreline has a long association with bathing. 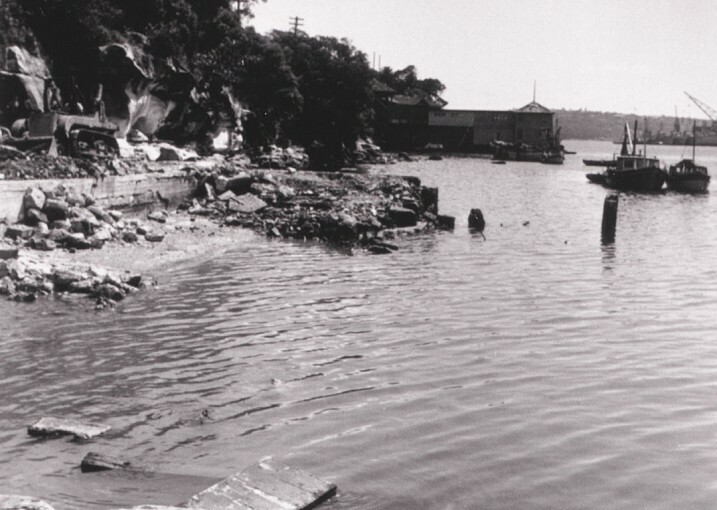 It is reported to have been used by the Cattigal people prior to and after European settlement and it is along this shore that Sydney’s first baths were built. 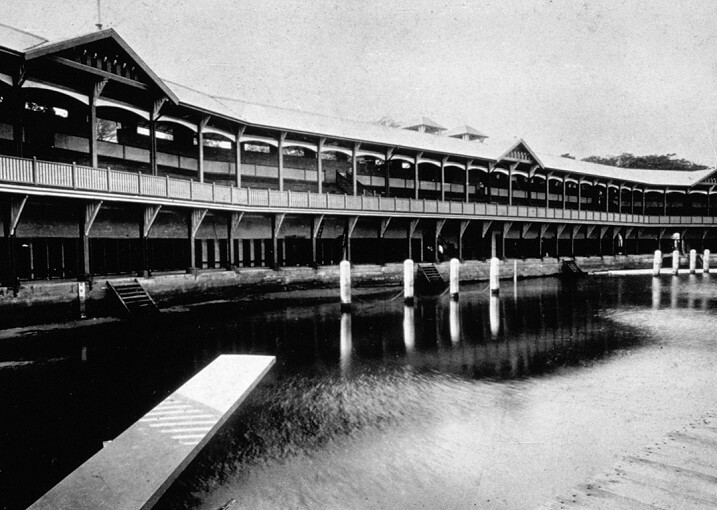 The Woolloomooloo baths nurtured some of Australia’s greatest national and Olympic swimming champions. 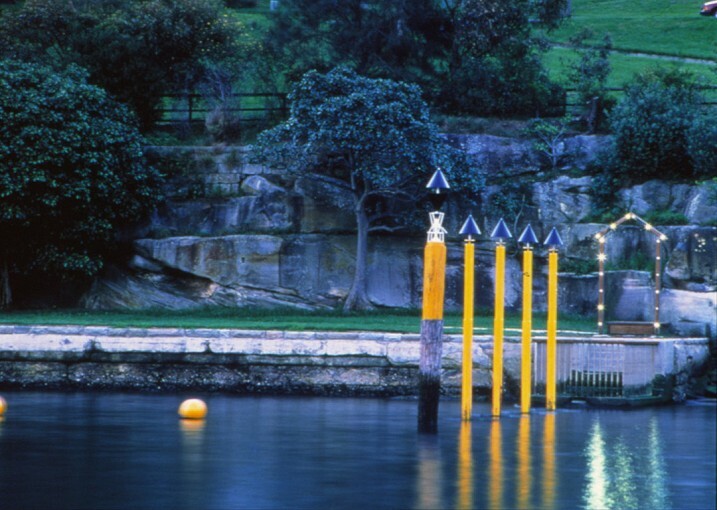 Between 1833 and 1955 this area of the Bay was the site of four separate ladies’ bathing establishments - Mrs Biggs’ Ladies Baths, Robertson’s Ladies Floating Baths, the Corporation Ladies Baths and finally the Domain Baths for Ladies. 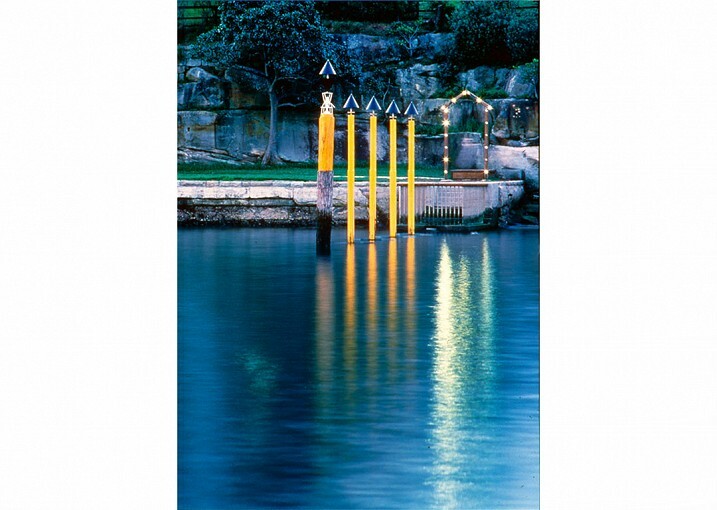 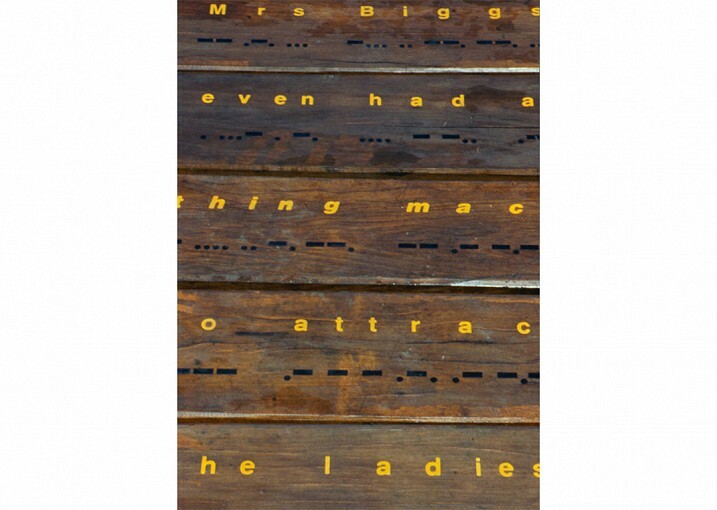 This artwork traces the perimeter of the former Domain Baths for Ladies. 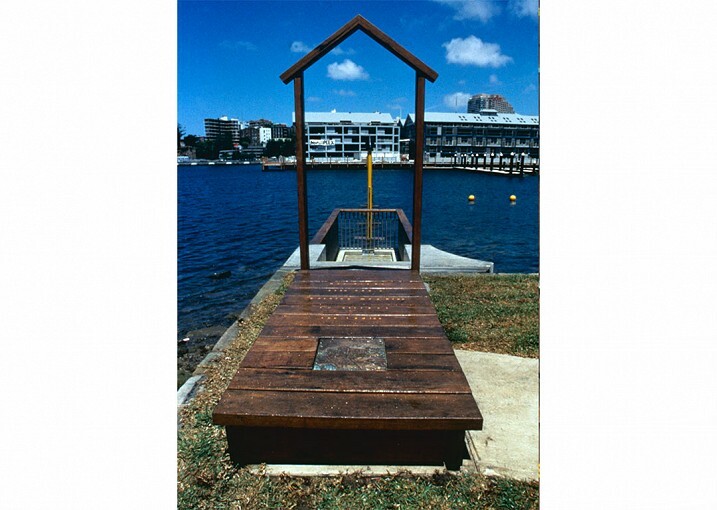 The elements form a collage … a floating jetty evokes the memory of the boardwalk and marks tidal changes … a concrete path defines the poolside deck and changing cubicles … a bathing machine is evoked by the stair, cage and portal frame to represent the closeted space of expected modesty associated with the early days of bathing…the portal frame of the bathing machine signals across the bay via the obsolete language of Morse code. 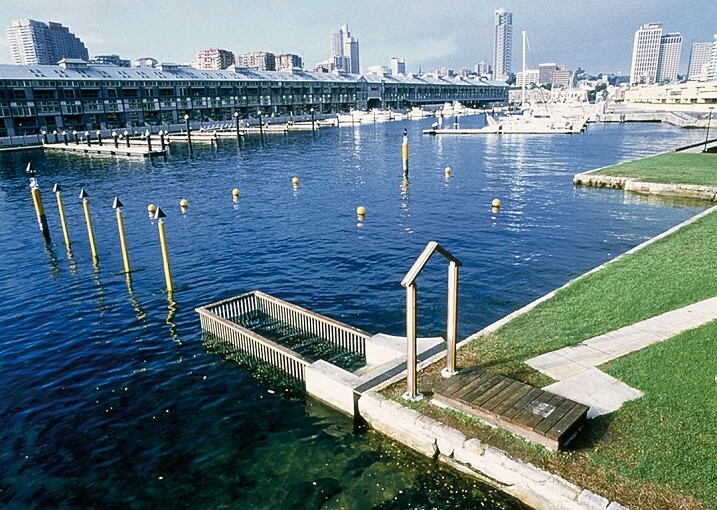 Thanks to Sydney City Council - Sally Couacaud, Amanda Sharrad and Jo Spark, Tonkin Zulaikha Architects - Neil Mackenzie, Waterway Construction - Mal Hiley, Greg and team, Solar Technology Australia - Bruce Hawkins and Graeme, Taylor Lauder Burston - Howard Burston, Richard Downes, Stephen Jones, Alan Galt, Michael Bell and Partners, Page Kirkland Partnership - Nial McCarthy, Light Guides - John and Liz Crowley, Hadfield signs - John Hadfield, Waterways - George Gaweda and Jack Higgs, Botanic Gardens - Ian Innes and Cas McCallan, McGaw Metal - Paul McGaw and Leeanne, Tim Axelsen, Chris, Paul and Grant and Multiplex.